We're confident our tread will travel safely through all types of snow! Dibble’s Tire specializes in aftermarket upgrades such as Truck Lift Kits, Truck Leveling Kits, and more! 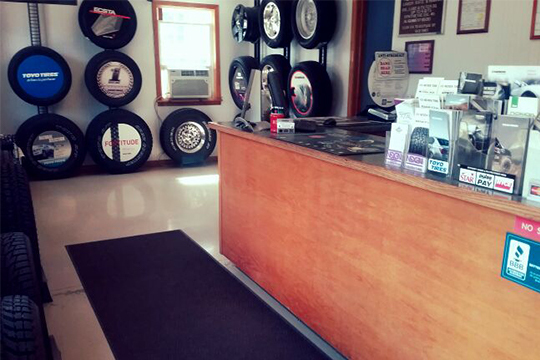 Dibble’s Tire Service offers complete installation and repair services to keep your vehicle running smoothly. Our ASE-certified technicians provide wheel alignments, inspections, oil changes and more. Visit our shop for the best prices and services available. Dibble’s Tire Service offers more than 20 years of industry experience when it comes to caring for your vehicle and its tires. Our ASE-certified technicians carefully inspect and complete each job to ensure optimal performance from your automobile. Our top-level service ensures your safety and satisfaction. Don’t hesitate to contact us with all your vehicle maintenance and tire needs. We provide four-wheel alignments, oil changes, fluid refills, coolant flushing, vehicle repairs and vehicle inspections. We apply our expertise to detailed service of your vehicle, no matter what its needs are. Our prices and service can’t be beat—it’s why we are the leading tire shop in Tioga County, PA.
Don’t wait until your tires are completely worn out or your brakes are squealing. It’s important to keep tabs on your vehicle’s wear and tear to ensure your safety on the road. 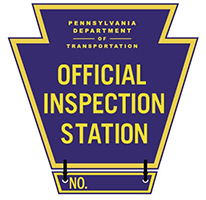 Bring your vehicle to Dibble’s Tire Service for a detailed inspection and quality auto repair in Tioga County, PA. Our expert technicians will get the job done right, the first time, and increase your vehicle’s performance. This will not only keep you safe, it’ll also save you money in the long run. Contact our friendly and knowledgeable staff today to schedule your next appointment and start taking advantage of our many service benefits. We’re proud to be a locally-owned and –operated business. We are a member of and in good standing with the Better Business Bureau (BBB). Our technicians are ASE certified for excellence. We provide TPMS service for optimal vehicle performance. The ASE-certified technicians at Dibble’s Tire Service will keep your vehicle in top condition with expert tire, repair and maintenance services. Schedule your appointment today.